Could Low Cost Cameras from India Disrupt $5B U.S. Ophthalmoscopy Market? Ophthalmoscopy, or fundus photography, is the practice of taking high quality pictures of the eye for medical purposes. It is a standard part of an eye examination, and is used to screen for a wide array of conditions like macular degeneration, cancer, diabetic retinopathy, glaucoma, hypertension, or retinal detachment. In 2012, there were 105 million eye exams performed in the U.S., representing 43.8% of the adult population. There is a range of testing quality to ophthalmoscopy. For the highest quality photos, a cutting edge deformable mirror-based adaptive optics device costing in excess of $500K might be used, but most clinics are using devices that cost anywhere from $1K to $20K for non-mydriatic (not requiring dilation of the eye) fundus cameras, as well as the slit lamp / mydriatic fundus camera configurations with prices in the $15K to $50K range. The slit lamp / mydriatic method produces higher quality photos, and is recommended for a comprehensive eye examination; however, the non-mydriatic cameras have been closing the performance gap in classic disruptive fashion, and they already comprise over half of the $220M fundus camera market. They may also be a safer device for patients. Today's expensive slit lamp / mydriatic camera configurations still seem to be the backbone of thorough eye exams, and therefore a central piece of equipment in eye clinics. Dr. Cheung's May 1st post articulates the current incumbent view well, which has not even reached the point of accepting good-enough non-mydriatic cameras, not to mention a device like Slit Imager. The non-mydriatic cameras are closing the performance gap with the more expensive setups, and hybrid fundus cameras (allowing for both mydriatic and non-mydriatic modes) are predicted to have a faster CAGR than other segments in the coming decade. 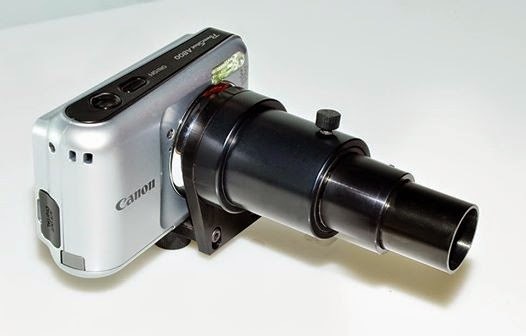 A particularly disruptive example of a non-mydriatic camera is Jedmed's portable fundus camera, which is modular enough to also function as a camera for general, dermatological, and ear, nose & throat exams. At an estimated price point of ~$2,500, this is comparably affordable to Aurolab's Slit Imager if including the cost of the slit lamp. But it is approved, more versatile, and probably provides higher quality images. The most exciting disruptive ophthalmoscopy innovations are occurring at price points far below even that of Slit Imager. Take EyeGo for example, a $15 ophthalmoscopic adapter for smart phones out of Stanford University. EyeGo's value proposition is very similar to Slit Imager's, which is "triaging when no other alternative is available," but this model enjoys serious advantages in terms of cost, ubiquity of devices, and seamless modularity with existing infrastructure through phones' photo management and email applications. Of course, current market conditions aren't everything: They are just a snapshot, and several nascent trends signal international opportunity for Indian ophthalmoscopic innovators in the coming years. Firstly--as evinced by the Aravind case above--, India is already working hard to decrease costs through substantial reengineering, but have only just begun as of 2012. Secondly, there is a large base of talented software engineers in Bangalore, and India's engineers recently put a satellite in orbit around Mars. These conditions are ripe in encouraging India to realize the true, large-scale disruptive potential within this market, namely by combining extremely low-cost, ubiquitous devices with software applications allowing for accurate diagnoses from photos patients take themselves. This technology is already emerging within certain academic settings, as in the case of eyeMITRA. An integrated product like this would profoundly change the retinal scanning market, drastically increasing the number of 'tests' performed on a routine basis, automating most of the basic spot-checking and triaging, and ensuring that the expensive and highly trained Ophthalmologists and Optometrists are utilized mostly to confirm complex diagnoses and manage complex treatment regimens. Being in Silicon Valley, EyeGo is in a privileged geographical and cultural position to develop a SaaS platform that works well, or to form relationships with companies like eyeMITRA. On the other hand, market pressures in the U.S. may not be great enough to encourage and sustain an aggressive commercialization strategy. After all, an eye exam in the U.S. currently only costs an average of ~$50, and since nearly half of the adults in the U.S. are already getting eye exams each year, the unmet need may not be acutely painful. Therefore, my advice to innovators like EyeGo, eyeMITRA, and Aurolab is to build this disruptive product of tomorrow in markets like India first, where there is a vast need and a real market. Once the right product and business model arises from there, export the result around the world. What's stopping devices like EyeGo and Slit Imager from being widely adopted in the U.S. today?